Appraisals and Home InspectionsWhen buying or selling a home, many have heard of an appraisal and a home inspection. 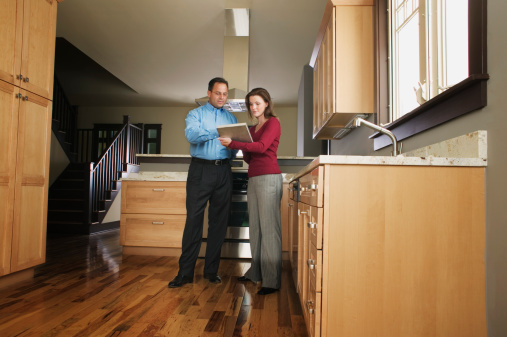 While both are very important to the entire transaction, an appraisal and home inspection are two very different things. If you’re looking at buying a new home or property, or you’re interested in selling your current property, it is beneficial for both parties to know the difference between the two and why they are important. 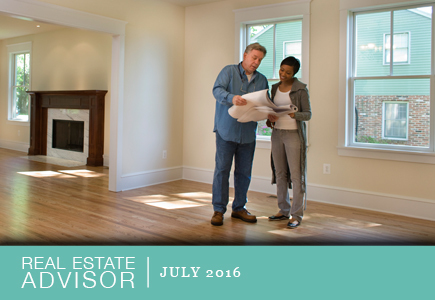 A home appraisal is an educated guess as to the worth of a property. An appraisal is required by a financial institution; if you’re looking to get a mortgage loan, the property will have to have an appraisal. If a mortgage loan is not needed (the buyer is paying with cash), then an appraisal is not required for the purchase. Who pays for the appraisal? As part of the final contract, the appraisal can be negotiated between the buyer and the seller, but traditionally the buyer pays for the appraisal. But why is an appraisal needed? An appraisal lets the bank or lender know what the loan collateral will be set at for a worst-case scenario situation. What does this mean? The bank wants the home to appraise for a similar amount they are going to loan to the buyer. Should anything happen, and the bank has to sell the home, the bank doesn’t want to be stuck with a home that had a million-dollar loan on it but can only be sold for $100,000. Appraisals are important, but they can be a tad stressful. The appraisal is done after the sale price is negotiated and the contract has been signed, which is why many people hope the appraisal is close to the sale price negotiated by the buyer and seller. To protect the transaction for both sides, the buyer and seller should have a sales-and-purchase agreement that addresses the possibility of the appraisal being below the purchase price. This would allow the buyer to terminate the contract or renegotiate the sale price. If not, the buyer could be obligated to cover the difference between the purchase price and the appraisal. The appraiser will walk around the property and look at the value of the home, but she or he will also make note of any problems or issues. It has happened that an appraiser has pointed out things to be fixed in order for an appraisal to come back higher. Appraisers mainly look to check the main characteristics of the house: square footage, bedrooms and bathrooms, the overall condition of the property, recently sold comparable properties in the area and any noticeable health or safety issues. Appraisals are not an in and out thing – they can take up to a couple days to complete, and loan underwriters can request more information than in previous years. As a seller, the number one thing you can do to help the appraisal process is to make sure the house or property is in good order. While an appraisal determines the value of the property based on an inspection done for the loan company, an appraisal is not a home inspection. The appraisal is for the mortgage lender; the home inspection is primarily for the buyer. 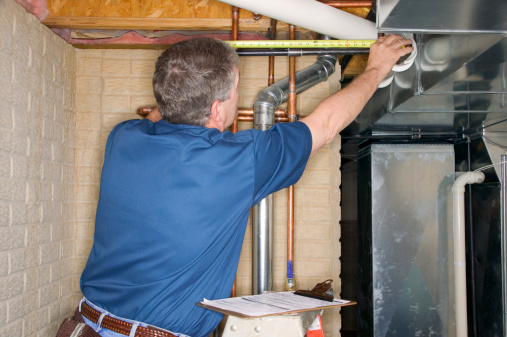 A home inspection is the inspection of the physical condition of a home or property. A home inspector is going to look for defects or malfunctions in the property’s structure, systems and physical components (which can be anything from the roof and plumbing to the HVAC system, floors, windows and foundation). A home inspection generally takes place after the seller and buyer have signed the contract. The home inspection can help guide any repairs that might need to be done to the property, or it can alter the final selling price if major repairs need to be done to the property. But it’s important to remember that a home inspection is not a mandatory part of buying a property. Sellers can sell their properties “As Is,” and any home inspection done will simply be a way for the buyer to know what to expect once they receive the keys. Who is responsible for the home inspection? The buyer generally arranges and schedules the inspection; your agent or Realtor will most likely be able to suggest a home inspector she or he has worked with in the past, but it’s important to make sure the inspector has experience and is a member of the American Society of Home Inspectors. But the most crucial part of the home inspection is to provide a thorough and tough inspection of the property to the buyer. When buying or selling a home, it’s important to know and be aware of all that is available to buyers and sellers. While the appraisal is done for the benefit of the lender, the appraisal also benefits both the buyer and seller by determining a value on the property. The home inspection is done for the benefit of the buyer, but it’s also a good indication for the seller about the property and any issues that might need to be addressed should the buyer drop out of the transaction. Both an appraisal and home inspection are valuable and important parts of a property transaction.